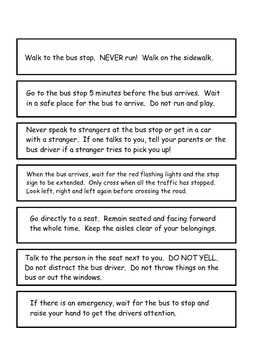 Bus safety is an important discussion that kindergarten and 1st grade teachers must have with their students. 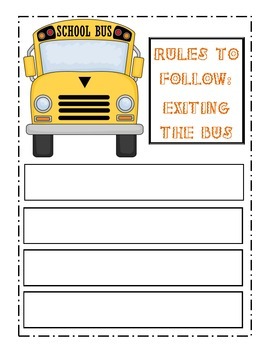 In this unit, you will find rules that students must follow when waiting for the bus, riding the bus and exiting the bus. 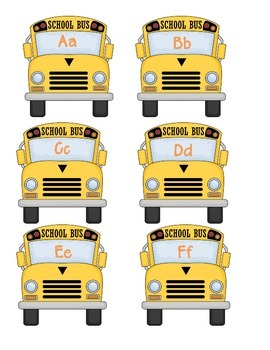 Students will also review the letters of the alphabet and put the busses in ABC order. They will then write the letters of the alphabet. 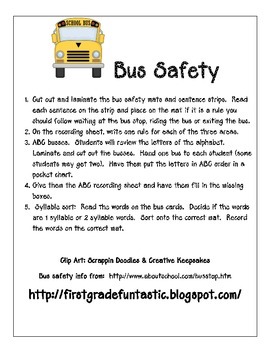 Finally, students will listen to bus safety words and sort them according to one syllable words or two syllable words.